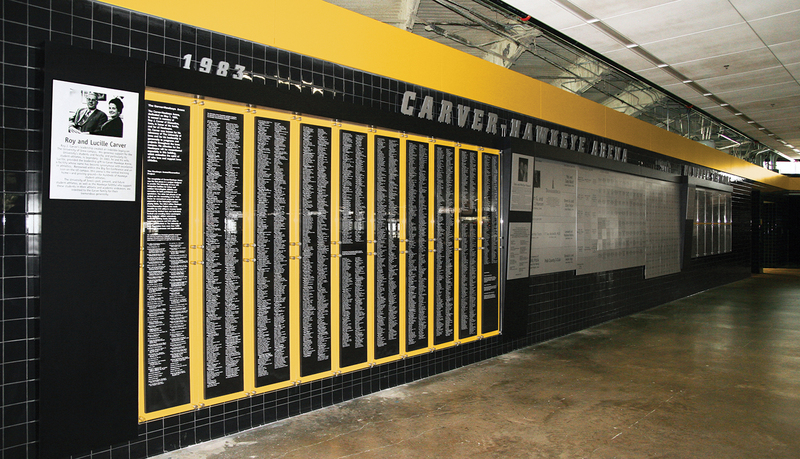 Carver-Hawkeye Arena opened in January of 1983 and recently underwent a multi-million dollar facelift. 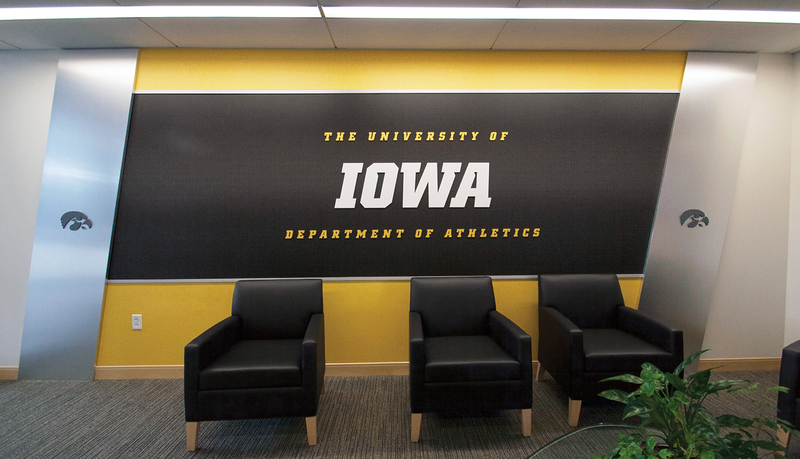 The project included an interior branding project for the Athletic Administration areas and Men’s and Women’s Basketball Teams. 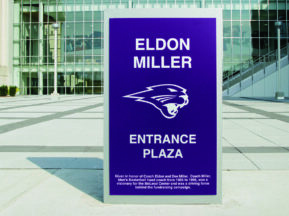 A primary driver for the project was to promote a better overall image for athlete recruitment. 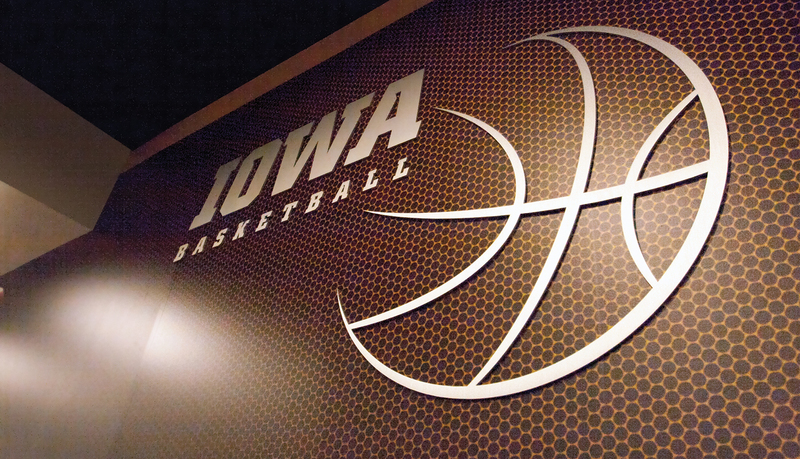 This was a kickoff for a new font developed specifically for the University of Iowa and was used throughout the project along with their “Tigerhawk” logo. 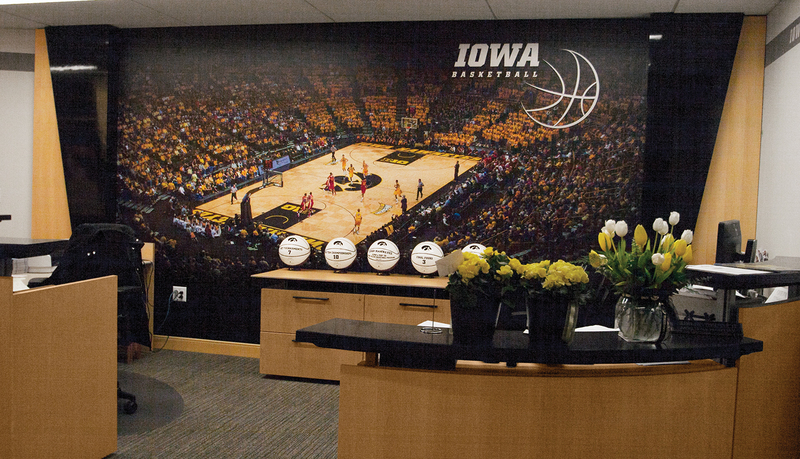 ASI worked closely with the Athletic Administrative Staff of each team to pull together high-resolution photos for the large wall graphics. 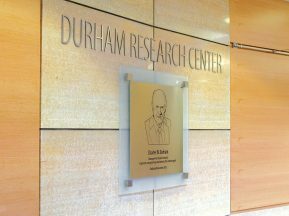 Many of the elements had to be redesigned to fit each unique wall area, as well as to allow for an easy and cost-effective replacement within 2-4 years. 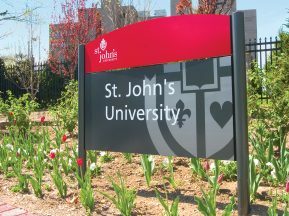 The Athletic Administration area was updated using maple millwork, brushed aluminum letters, digital wall graphics, brushed aluminum laminate details, repainting of walls and vinyl graphics. 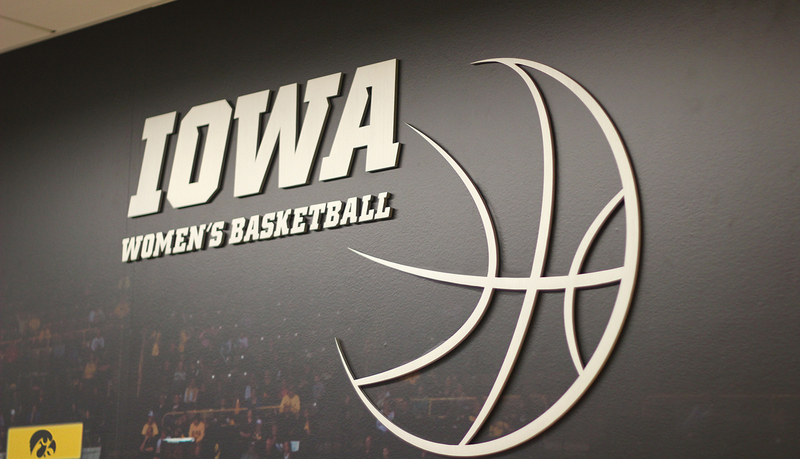 The Women’s Basketball Team areas, including both the player’s lounge (locker room) and the administrative areas were rebranded to highlight current players and team members, along with the coaching staff, program accomplishments and team values. 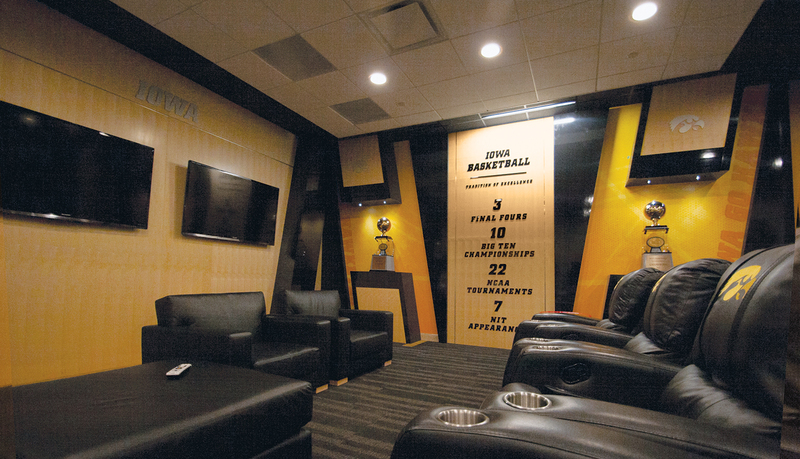 The Men‘s Basketball Team areas had a similar scope and also included a large history wall with historic and current photos. 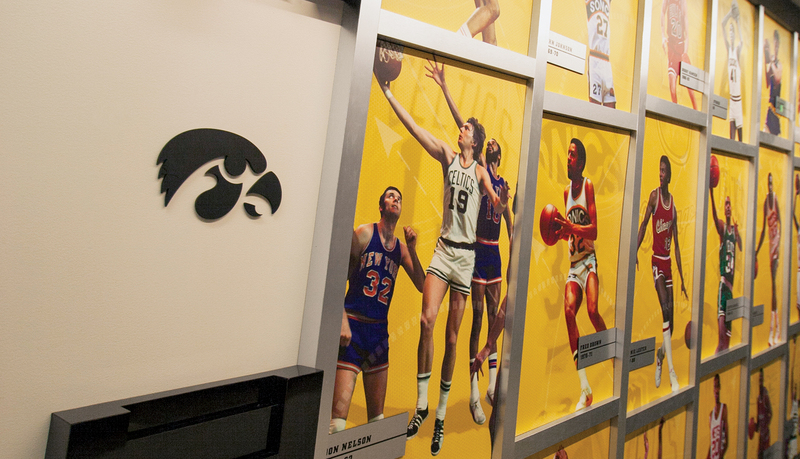 A dynamic feature included recognizing former University of Iowa players that have spent time in the NBA. 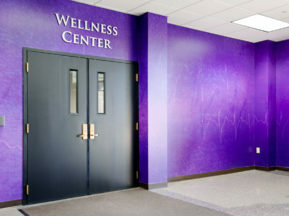 Many of the elements had to be redesigned to fit each unique wall area. 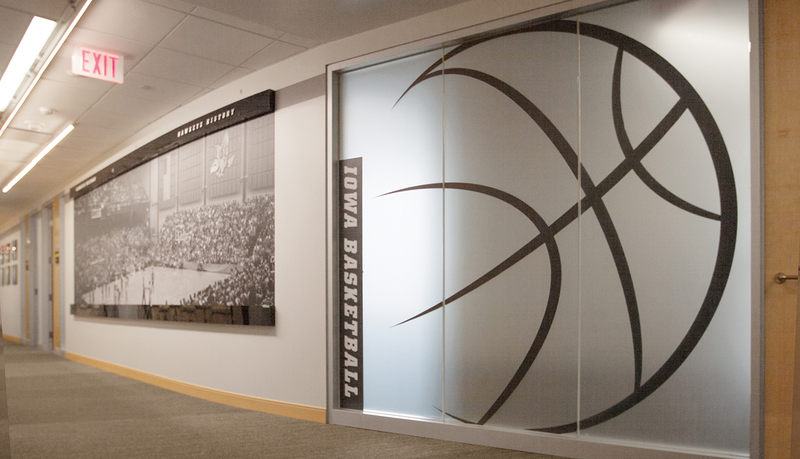 Many of the graphics are color specific to maintain a branded continuity throughout the facility.